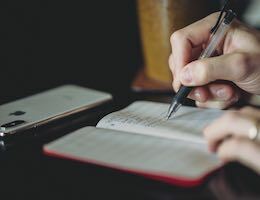 I’ve reviewed a bunch of Twelve South products over the years, from the company’s iconic BookBook iPhone cases, to the ParcSlope and Curve laptop stands, to the AirSnap and PencilSnap cases for AirPods and Apple Pencil. 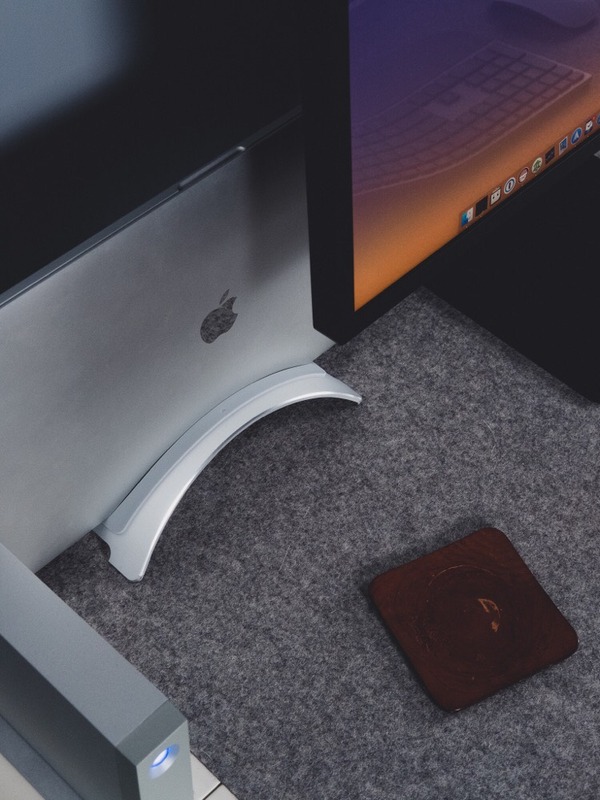 But perhaps the most popular and most iconic Twelve South product of all is the BookArc — a simple piece of curved aluminum designed to display your MacBook in all its glory while docked at your desk. The BookArc has shipped in different sizes and designs over the years, but its simple utilitarian purpose has never wavered. The latest BookArc can be purchased in an aluminum finish (either silver or space gray) or in a curved plywood finish (reminiscent of the original Herman Miller Eames Lounge Chair). 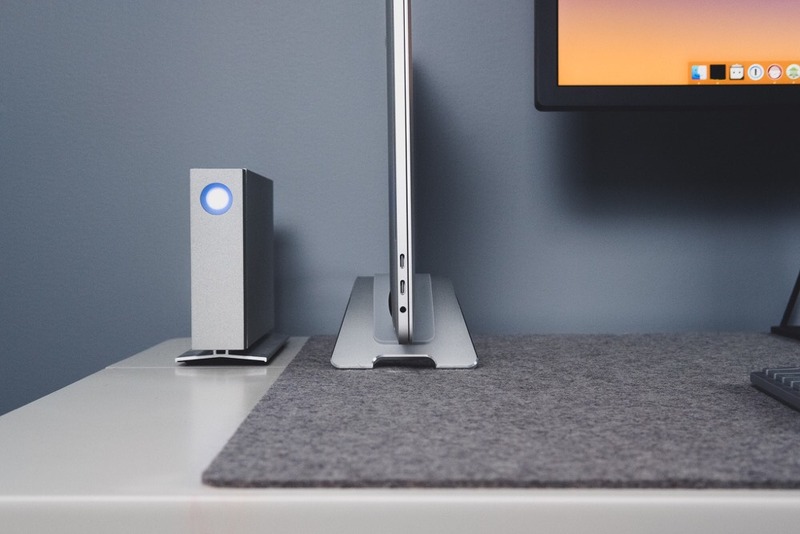 The latest update to the aluminum BookArc provides support for the newest MacBook Air with Retina Display. Editor’s Note: Twelve South provided this BookArc free of charge for purposes of review. To me, Twelve South’s BookArc has always had an aesthetics-first goal. 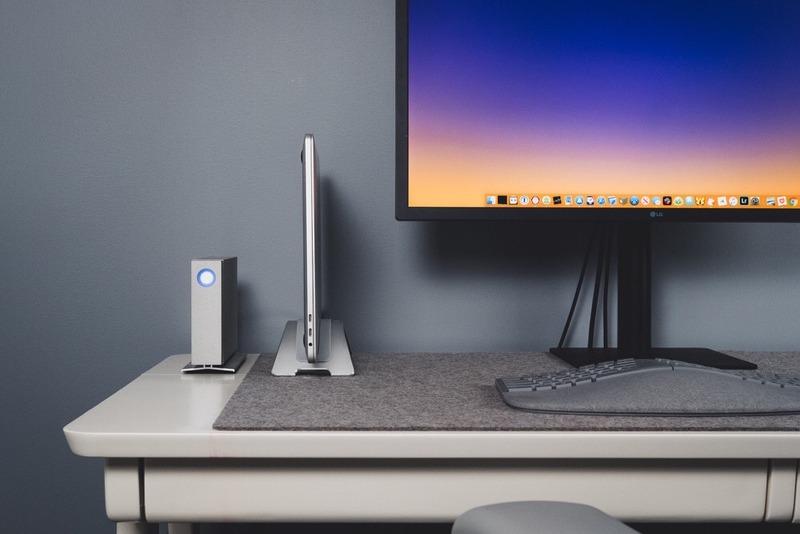 The simply curved aluminum stand is gentle, comfortable, and approachable, and will fit on just about any desk with a connected display, keyboard, and mouse. 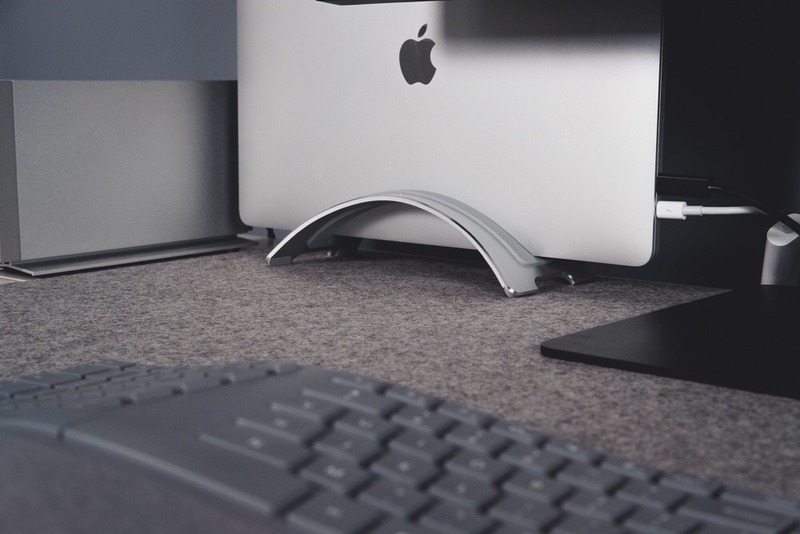 The BookArc ships in both silver or space gray (silver is pictured) and, with Apple’s complement of space gray peripherals, are likely to also match any current desk design as well. 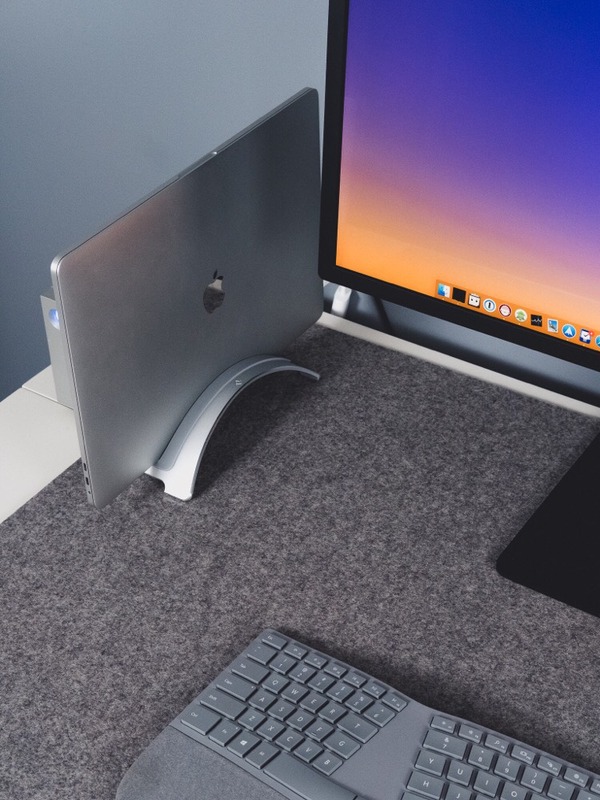 The BookArc is by no means Twelve South’s newest accessory, so while the accessory will undoubtedly fit in any desk situation, there are elements of its design that are showing age. The aluminum chamfered edges, for instance, echo back to the era of squared-off and shiny-edged iPhones and iPads. This look screams “Apple,” but it’s yesterday’s Apple aesthetic, not today’s. 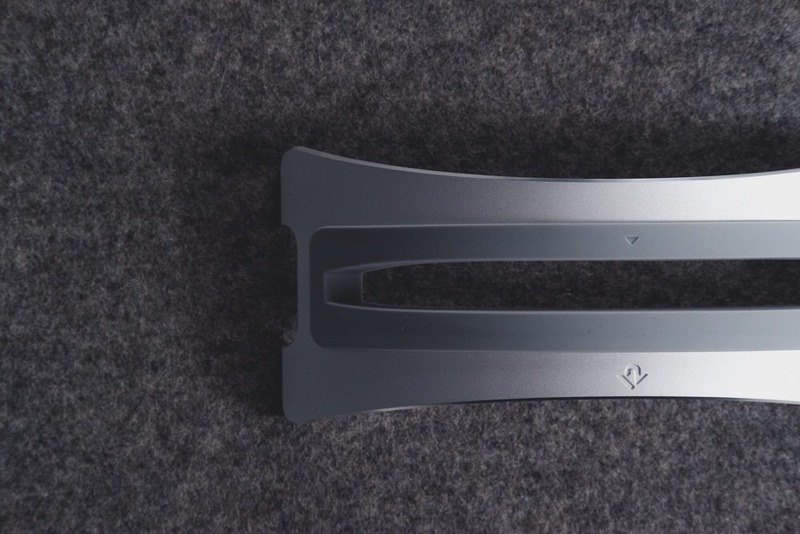 The BookArc’s feet are both separated by a notch, designed for cable passthrough. And all four feet have silicon feet, so you shouldn’t be marking up your glass desktop with the BookArc. Looking at this list, the only current MacBook not initially supported out of the box is the 12-inch MacBook, which can be remedied by purchasing the insert directly from Twelve South. I imagine this won’t be a large swath of people, mind you — the 12-inch MacBook is the least likely MacBook to be used while connected to an external display, due to its less powerful internals. Of course, it’s hard to sell a product that is designed only for aesthetics, so Twelve South built a few handy utilitarian features into the BookArc as well. First are heat dynamics. Many laptop stands and clamshell laptop stands (think the Henge Docks Vertical Dock, for instance) have to consider the notebook’s heat dynamics in their design. 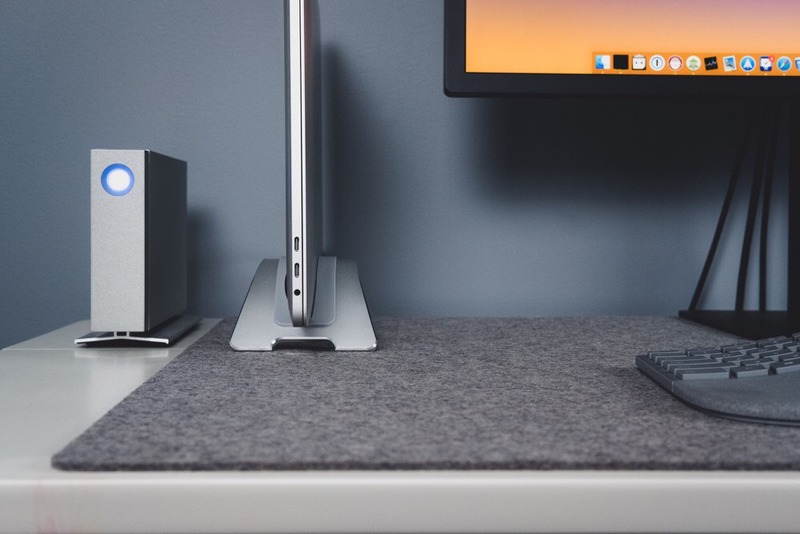 While I’m sure any Henge Docks owner will attest to the Vertical Dock’s trusty heat dynamics, just looking at the BookArc instills more confidence. When inserted in the BookArc, a MacBook is lifted an inch or two into the air, with only two points of contact with the silicone insert. Wherever the MacBook dissipates heat, there’s plenty of accessible space to circulate air and avoid overheating. Second is space-saving. No matter how thin and light Apple makes the 15-inch MacBook Pro, that size of screen is always going to carry a heavy tax when it comes to footprint. When connected to an external display without a dock, that 15-inch MacBook Pro takes up a lot of desk space. By hoisting the MacBook into the air and docking the notebook vertically, the docked MacBook Pro’s footprint is substantially minimized. I work with two displays all the time at the office, and it’s far, far too easy to place a little Twitter window off in the far corner to stay on top of every few minutes. 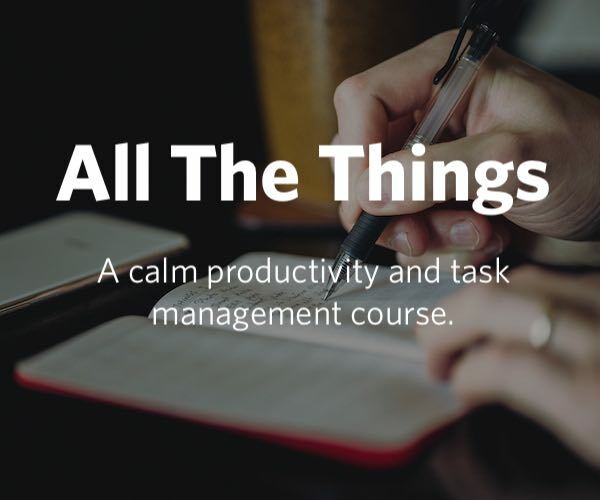 (For more information, check out Shawn Blanc’s original podcast on the “Just Checks” — these are probably my biggest productivity weakness at my J-O-B job.) 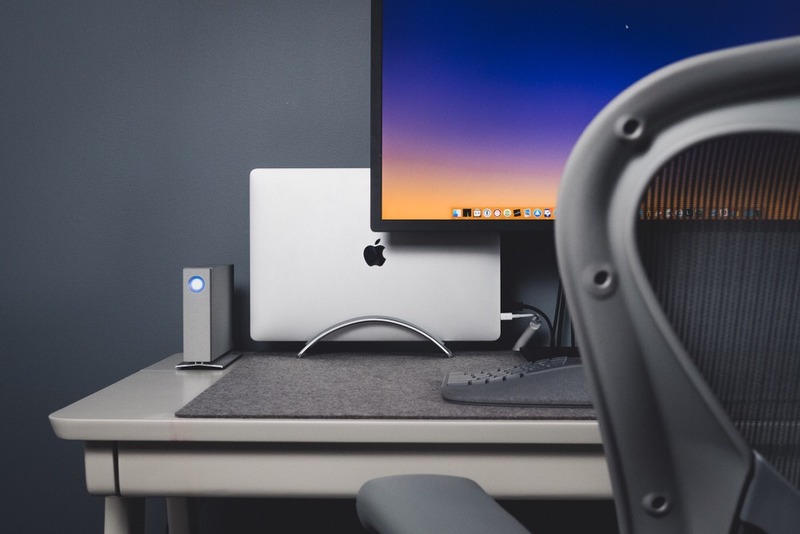 By moving to a clamshell MacBook and a single display, it’s a lot easier to eliminate the clutter on your display and keep only the necessary windows open. At this point, I’m not sure if I’m more productive using only one display while working at home, but I’m certainly not less productive. I am 100% sure that my MacBook Pro runs smoother when connected to the 5K LG UltraFine Display when in clamshell mode. Last is cable passthrough. 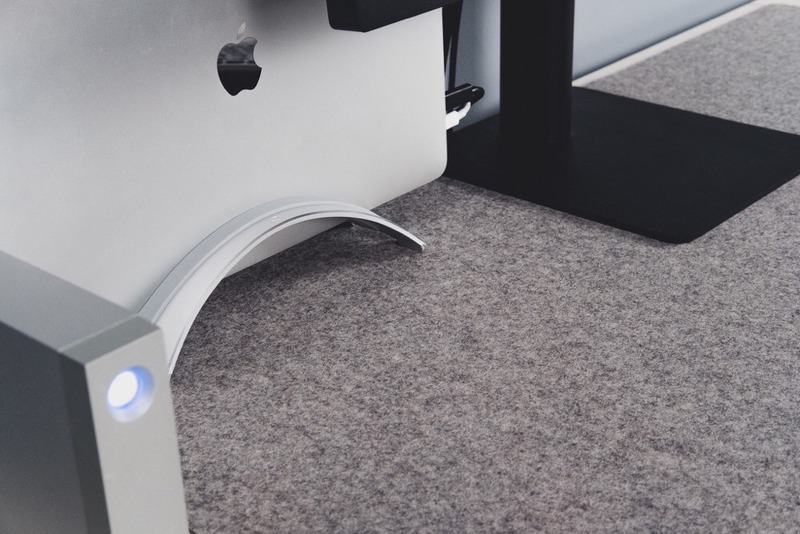 The notches cut out of the four BookArc feet are designed for cables to pass through easily, further eliminating clutter on your desk. My experience has been less pleasant though — the reality of USB-C means I have multiple adapters connected to cables connected to my MacBook Pro, and some of those adapters are quite large. The Thunderbolt 2-to-Thunderbolt 3 adapter, for instance, is so large and so inflexible, I can’t properly run it through the BookArc’s cable passthrough channel for the added decluttering. Even large Thunderbolt 3 cables give that cable passthrough channel a run for its money. If you have fewer and thinner cables than I do, this channel may work. But I’ve had little luck in utilizing this to my expectations. But I wouldn’t go so far as to say the BookArc is going to change your life — it may dramatically improve your focus and productivity by moving you from two displays to one, focused display, and it may even boost the speed of your MacBook if it chugs while churning both the built-in display and your connected external display. I’d count these extra features as bonuses rather than core features. For me, the biggest improvement has been the added desk real estate. I use a small desk at home, mostly because I haven’t committed to a final design on my home office. 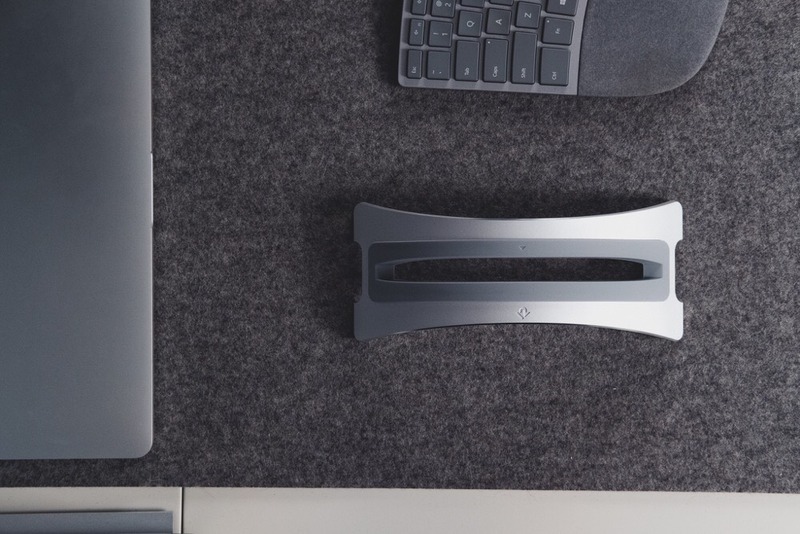 This small desk requires a lot of careful critique and prioritization — only the most important pieces of tech will find a home on this small desk. The BookArc has done a tremendous job in freeing up more space on this desk. I’ve hidden the docked MacBook behind my external display and up against the wall, opening up (if I’ve calculated correctly) 130.35 square inches of my desk’s 1,292.50 square inch total. I’ve effectively regained 10% of my desk’s total real estate by adopting the BookArc. 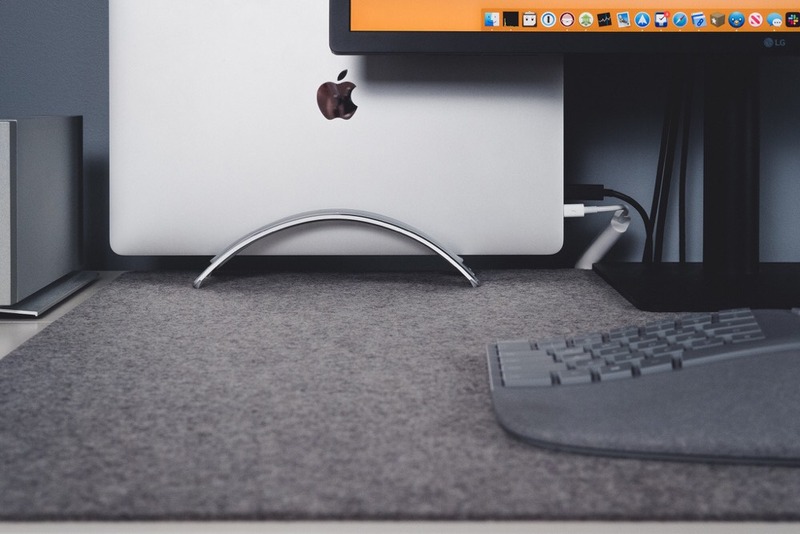 Twelve South’s BookArc has become a classic — dare I say iconic — desk accessory over the years. 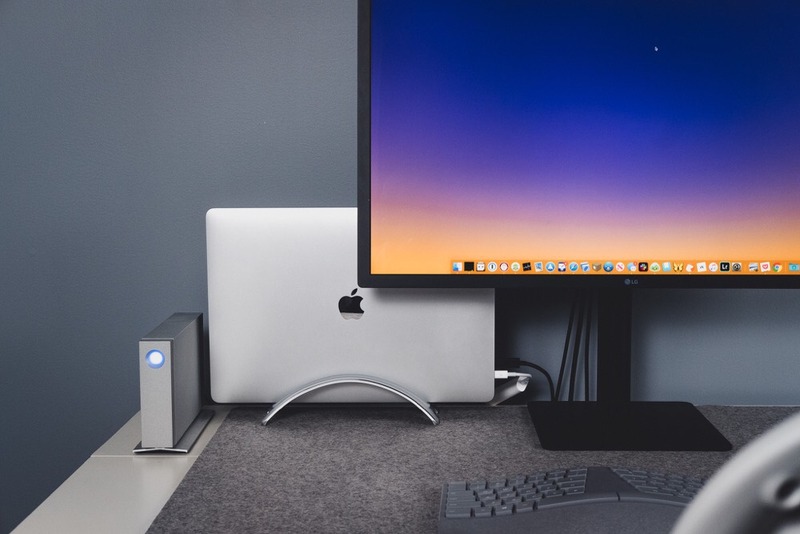 It doesn’t do anything groundbreaking or flashy, but by changing the direction of your docked MacBook, it could open up a ton of opportunities to declutter your desktop and declutter your dual-display workstation. You can purchase the Twelve South BookArc from Amazon or from Twelve South directly for $50.